With summer officially here now I think we can safely start the festivities….as in enjoying all the fresh raw fruits and vegetables available to us at this time of year. Food is such a huge part of our lives; not only do we need to consume it regularly to survive (or at least most of us do), but nearly all social events/activities involve food in some way. Preparing food for any event or gathering is quite simple for the raw fooder who can enjoy a beautiful meal out of hand at a moment’s notice. So enjoy your summer meals with friends and family as you quietly become the guide to super health for those in your sphere of influence. In this issue of Vibrant Living I’ve written an article highlighting the results of major studies in reference to exercise and what the parameters are for healthy vs. detrimental workouts. The results may surprise you. Gretchen has contributed an article on an interesting system she discovered for diagnosing the compatibility of different foods in the diet. Sometimes it can be difficult to tell if a food is helping or hindering your progression on the road to greater health, and this system can give you clear markers to help sort all that out. Then there are the usual quotes, factoids, and of course a few new Raw Food Recipes for your enjoyment. So Enjoy! “All the power that ever was or will be is here right now." The results of 50 interesting studies were made public this week. Something I have personally believed for a number of years is that excessive exercise can actually be damaging to us, and the latest research from the Mayo Clinic comes to the same conclusion. Researchers found that more than an hour of intense aerobic activity per day put runners and cyclists at heightened risk of serious heart problems, including irregular heartbeat, clogged arteries, and scarring. These athletes were five times more likely to have an irregular heartbeat than those that did not push themselves to the limit every day. I think this is confusing to many people because they confuse fitness with health. Professional athletes may be extremely fit, but are not necessarily healthy. Recent research shows that runners who log more than 20 miles per week or run faster than 7 miles per hour have a higher risk of premature death than those who jog less than 20 miles a week. Just look at the rapid decline in the health of many professional athletes after they retire, and sometimes even before they retire. Every now and again we read a news story about the guy next door who was fit and healthy running every day, working out at the gym, etc., who dropped dead from a heart attack. We all think, “And he was so healthy,” but it turns out the excessive exercise may have contributed heavily to his early demise. My friend Brian, who is from China says the Chinese believe we are born with just so many heartbeats and when they’re used up you’re gone, dead, finished. Now I don’t agree with this literally, but I do see what they’re trying to say. When I was younger I was an athlete involved in high school, NCAA, and AAU swimming and water polo, sometimes working out 3 times per day and pushing myself to the limits. Over the years I’ve come to embrace the idea of walking, hiking, or swimming at a reasonable pace, or perhaps even intensely for short periods, but I no longer participate in hours of extreme physical workouts. As for professional or high caliber amateur athletes, the combination of excessive workouts and poor diet, i.e. heavy protein intake, the use of special chemical laden shakes, and generally over eating take their toll over the years. Those athletes that seem to be healthy and survive long term are the ones that drastically change their lifestyle habits after retirement. I believe that these types of workouts may be OK for younger athletes to some degree in that the body can heal and recoup, but with long term physical exhaustion the outlook is not good. What’s wonderful is that many athletes today are seeing that diet is huge in determining their health, fitness, and longevity. Many are trading in their intake of animal products and chemical potions for a more natural diet of whole foods, fresh juices, and green smoothies. As they see the advantages of a plant based diet, many athletes are jumping on the vegetarian, vegan, and raw foods band wagon. Reading a book about world class vegetarian athletes was a major factor in my decision to try a vegan diet some 20 years ago, that and a quick read of John Robbins, “Diet for a New America”. Just before I went vegan I was consuming meat or fish daily, although I didn’t eat refined sugar, mayonnaise, deep fried foods, etc., so I was health minded. 6 months earlier I had left logging for good and found myself as the foreman of a large construction company driving a pick-up around between my different crews. I went from being a super fit buff athlete to a semi sedentary being during my work days, and lost some muscle tone and a little weight. I started to read some muscle magazines given to me on how to get into shape and build back muscle tone. All the articles recommended upping the protein intake, because “you need plenty of protein to build muscle”. But the caveat to this was always “of course with the extra protein intake you’ll have extra uric acid to deal with and process so you need to take this supplement, and follow this protocol, or blah blah blah…” It didn’t take me long to figure out that something was wrong with this picture and that led me to the two books I mentioned above and my decision to experiment with a vegan diet. I did start the experiment, on going now for 20 years, and I feel I have been rewarded with great health because of it. And of course starting a raw food diet took me to another level yet. One thing I have continued to do my entire life is to get exercise in one way or another, which has brought me rich rewards as well. Diet and exercise are two major components of great health, which is why I’ve chosen the lifestyle I now enjoy. So in closing, I believe that regular exercise is important, but not to excess, and it would seem that some 50 plus studies bear out the same conclusion, at least to date. So enjoy your healthy diet no matter what its composition, and get out and work that body of yours in careful loving ways on a regular basis. At the beginning of the 20th Century, the average American was eating 120 lbs of meat per year. By 2007, they were eating 222 lbs of meat. At the beginning of the 20th Century, the average American was eating 40 lbs of sugar per year. By 1999, they were consuming 147 pound of processes sugars. At the beginning of the 20th Century, the average American was eating 294 pounds of dairy (milk, cheese, cream, butter, ice cream, etc. )per year. By 2006, they were consuming 605 pounds of dairy. Hugh and I have gotten into the habit over the past year of stopping in at our local drugstore on the way home from the farmer's market to check our blood pressure and pulse in one of those handy machines they have. My pulse was usually in the high 50's or low 60's, and I never thought much about it - I was always thinking about the blood pressure reading as mine used to be 120/80 before I gave up salt and went raw, and now it's always nice and low and I still enjoy seeing that confirmation. But lately, my pulse started jumping up. A few times it was in the low 70's, which seemed odd. Then it was in the high 70's, and finally it was 82 one morning. Yikes! This got my attention, and of course I started obsessing over this and what it might mean. 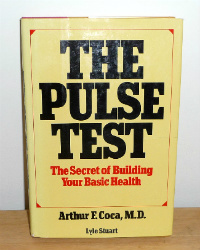 A friend had recommended a book called The Pulse Test by Dr. Arthur Coca a while back, and I had bought an old copy at the time, so I pulled this out to read again. I believe this information is also freely available on the internet at this point too. Dr. Coca was a practicing medical doctor who discovered that he could use the pulse to diagnose when people were having a negative reaction to a food, inhalant or other substance. He called these allergic reactions, and today they might be called food sensitivities. The idea is that when the body is stressed by a substance, the heart rate will elevate. By checking your resting pulse (heart rate) systematically and recording the readings along with the food you have eaten, you can determine what you are reacting to. It's easy to test your pulse - you don't need to have one of those machines that we like to use at the drugstore. You just need a watch with a second hand, and the patience to find a place where you can feel your pulse clearly. Hugh's is easy to read at his wrist, whereas mine seems more clear to me at the top of my neck. You just want to make sure that you have your finger on an artery, which are deeper than the veins you see right under your skin. Find your pulse, and wait for the second hand to reach 60. Then begin counting the next beat and count for a whole minute. That count is your pulse rate. If you're in a hurry and you just want a quick reading, you can get a rough idea by checking just for 15, 20 or 30 seconds, and then multiplying by 4, 3 or 2 respectively. But it's much more accurate to do it for a whole minute. The protocol Dr. Coca recommends is that you check your pulse before sitting up in bed, before each meal, 3 times after each meal at 30 minute intervals, and finally before going to bed. It is important to determine your normal low and high levels, and this may be difficult to do if you are currently reacting to something that is elevating your pulse. For example, I think I have figured out that my normal range is 56 to the high 60's. But if I had started just this past month, I might have thought mine was 70 - 82. Once you find some foods that don't seem to elevate your pulse past your normal high, you begin testing foods that you're not sure about. He recommends that you eat single foods each hour for a few days. I haven't been disciplined enough to follow his protocol exactly, but I have identified a core safe group of foods, and now I'm in the process of adding just one new food per meal. All went well for a while, and then yesterday morning I put some mizuna (a type of mustard spinach, one of the peppery greens that is often included in spring mix) into my green smoothie for breakfast. My pulse had been nice and low for several days, but it began to rise shortly after this meal, eventually climbing up into the low 80's. Aha! My first confirmed pulse-elevating food. And ironically, I felt like this was such a super healthy food for me to eat! I've been eating it a lot over the past month or two, and now I can read back over my journal to see that I began to eat it more frequently right around the time that my pulse started elevating. I'm just thrilled that it's not white nectarines, lol. I'm still new into this process and I'm going to keep on checking my pulse as I add more of the stronger greens back into my diet. Lettuce and celery both seem fine, thankfully, so I'm able to eat plenty of greens, but I'm looking forward to some more variety too. One more comment is that the pulse-elevating effect of this peppery cruciferous green has lasted far longer than just the few hours I was expecting. My pulse is still high now, the late afternoon of the second day. I don't know if this is normal or not either, but luckily I had tested the foods I had for breakfast and lunch today earlier this week, or I might have thought I was reacting to them. Dr. Coca mentions this possibility in his book and calls it carry over. He said one woman reacted to beef, and her pulse stayed elevated for six days after she ate it. So be patient and do lots of testing to make sure that you have the right food before you eliminate a potentially healthy item from your diet. I plan to go a week or so without any raw cruciferous veggies, and then (if I haven't reacted to any other new foods I've tried in the meantime), I will test it again to make sure. Dr. Coca has many stories in his book about the patients that he helped heal from all sorts of maladies, including headaches, constipation, overweight, indigestions, abnormal tiredness and many other conditions. It's nice to find another tool to help diagnose my food sensitivities, and I love how easy it is to do it myself whenever I want to. Listed below are recently added recipes to the website. 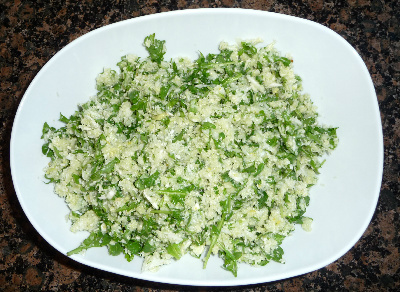 Tasty, quick, easy, and HEALTHY! Most days I’m posting health information, recipes, testimonies, etc on the facebook page of RAW-FOODS-DIET-CENTER.COM, so if you’re interesting in checking that out you can do that here. Although I believe strongly in a diet comprised mostly of fresh raw foods, I do supplement with super green powders, nuts, seeds, sea vegetables, and the occasional dried fruit such as goji berries. If you’re like me you’re always looking for a good deal on quality food whether it’s fresh from the farmers market or purchased online, so I thought I would share with you where I make most of my online purchases. You may already be aware of the Raw Food World and their “at cost” specials, but if not here you go. When you go to purchase supportive foods like those listed above you can save money and get “at cost” special pricing by going to the link below and clicking on the “at cost” specials tab. This also allows you to save up to 14% on every order of their already good deals. The important thing to remember is that fresh is best and these products are supportive and should not be your mainstay. Enjoy! There are a number of new testimonies at the website which I hope you will read and pass on to others when you feel they would benefit. And please feel free to leave your own story if you feel moved to do so. 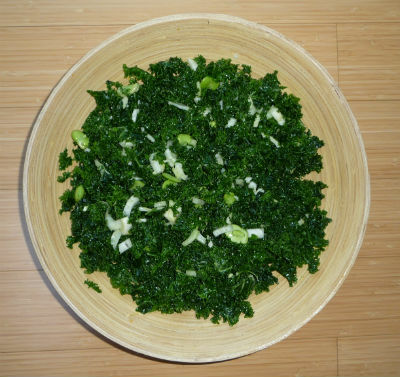 You need not be 100% raw to share a testimony; the fact is most people on the raw diet are not 100% anyway. Your story may inspire someone else, perhaps from the other side of the globe, to give the raw food diet a try. Please send me your health questions, they can be submitted anonymously if you prefer, and you may help someone else improve their health and quality life. Your questions. Please contact me with other questions, feedback and comments here. The contents of my website and my newsletter are gleaned from my experiences and observations, meant only for educational purposes and not intended to replace medical advice, consultations, or treatment of any kind. I recommend you see your professional health care provider if you suspect you have an illness or disease of any kind. I'm not medically trained, and I would never suggest or imply that I know what is best for someone else's body or overall health, ultimately each of us is the only one who knows what's best for us.